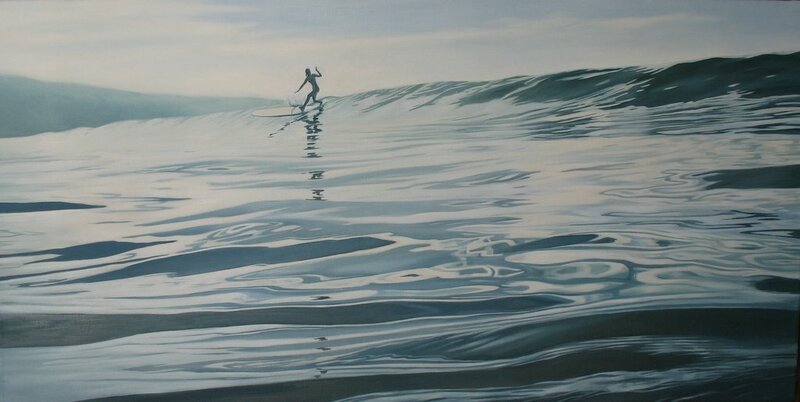 I did get 2 pieces juried into the Sausalito Arts Comission show..(see April 13 post.. guess which one did they NOT pick?) The reception is June 3, 1pm-4pm. Show is 23 may-25 june. It's at the Bay Model in Sausalito. Coincidentally, the name of the show is Ebb & Flow. OK. Yet another experiment. 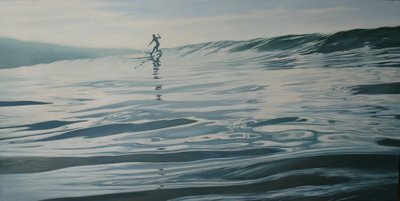 This time I tried working with an image that I love.. the clear glassy mornings out in the water at Bolinas, surfing with friends. I love being in the water and spending the time waiting for waves surrounded by breathtaking beauty..It is an amazing experience. I realized the other day that I am actually beginning to be more at ease with the paint. 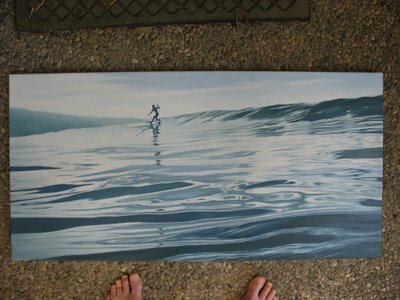 It helps to limit my palette (3 colors+ white) and have more surface to practice blending, etc. ( I did a small study of this image first) As with everything else in my life, it's all about practice! I am learning as I go..I may not know much, but I know more now than when I started.